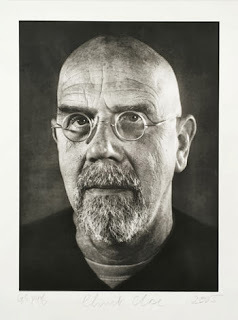 My favorite artist - Chuck Close (b. 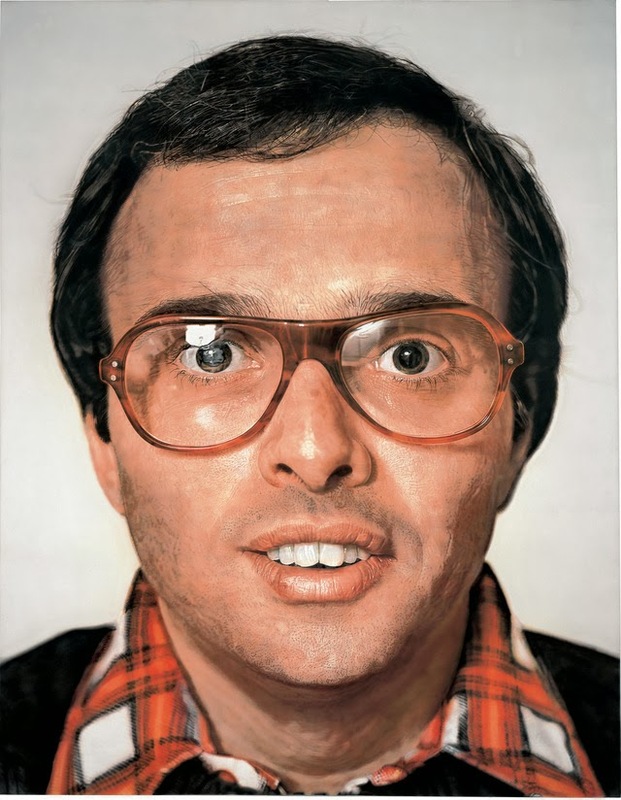 1940, Monroe, WA) is renowned for his highly inventive techniques of painting the human face, and is best known for his large-scale, photo-based portrait paintings. In 1988, Close was paralyzed following a rare spinal artery collapse; he continues to paint using a brush-holding device strapped to his wrist and forearm. His practice extends beyond painting to encompass printmaking, photography, and, most recently, tapestries based on Polaroids. 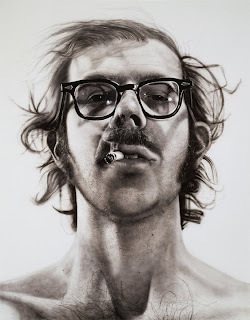 I was luck enough to see some of Close's polaroid and painting work before and after his accident. Amazing pieces at the Metropolitan Museum of Art in New York and Polaroids at the Norton in Palm Beach Florida.